First, point a new browser window to the new Just Pics photo album. From there we will take you step by step through the process of creating a new album. In this tutorial we will assume that you have registered a new account in Just Pics and have your login information handy. If you haven't registered, you should start at the Tutorial Index and read the tutorial on registration. Step 2: Enter the name and password that you provided when registering and click the Login button. Step 3: Once you have logged in, you will notice some new buttons above the main album table. Lets begin by creating a new Album for your pictures. Click the Create/Order my Albums button. 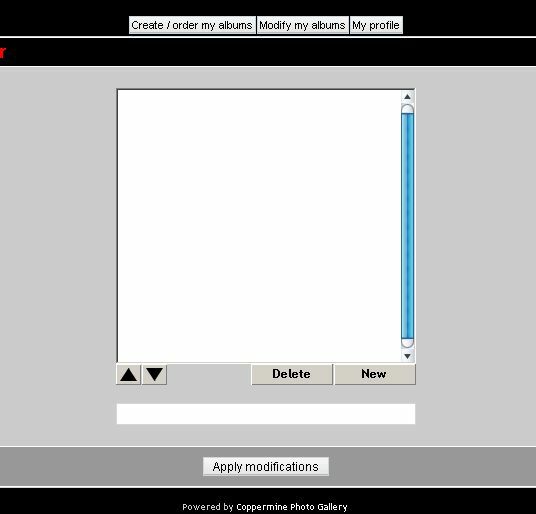 Step 4: Next you will see the create/order album dialog. Click the New button as see in the illustration above. 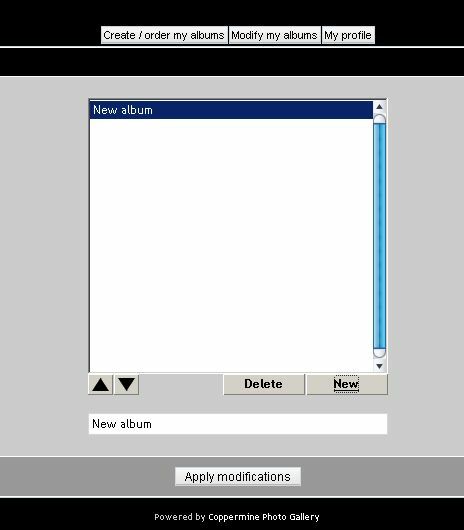 Step 5: Once you've clicked on the New button, New Album will be listed. 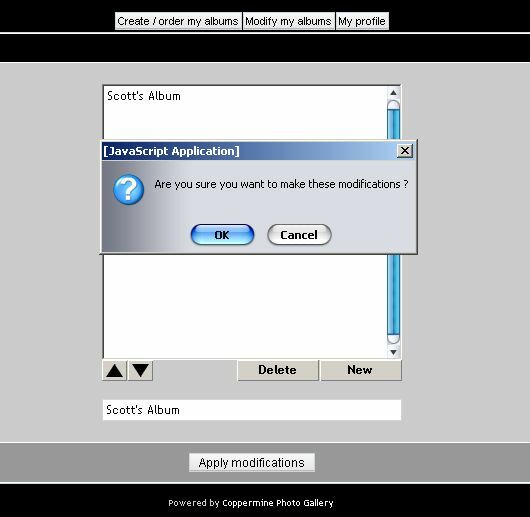 Step 6: Select the New Album text in the bottom text box, and change the name to whatever you want to call your album. Once you have the name changed to your satisfaction, click the Apply Modifications button. Step 8: You will get this message showing you what changes you have made. (New Album in this case). Click Continue to take you back to the main Album view. Thats it! 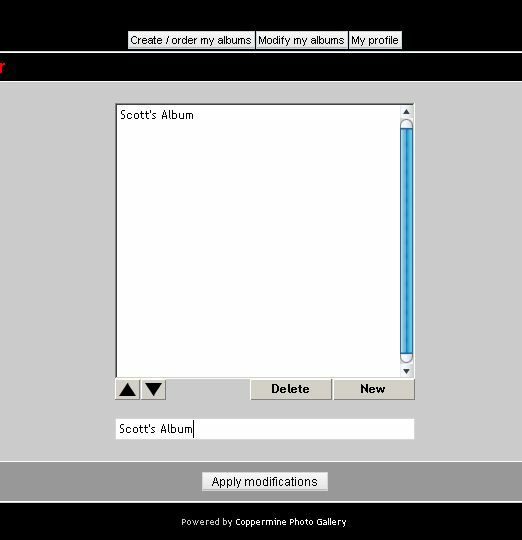 You offically have a new album ready for you to add your pictures. Ready for the next step? Click here and we'll show you how to upload a pic into that new album.